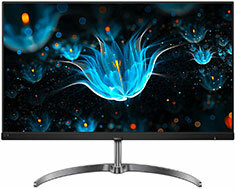 The Philips 271E9 Monitor features a 27in screen size, 1920x1080 resolution, 75Hz refresh rate, 5ms GTG response time, FreeSync technology, 2x HDMI, VGA, tilt stand and VESA 100mm support. The stylish E line monitor delivers a viewing experience beyond boundaries. A wide-view monitor allows you to enjoy the same crisp and vivid picture quality from any front angle view. 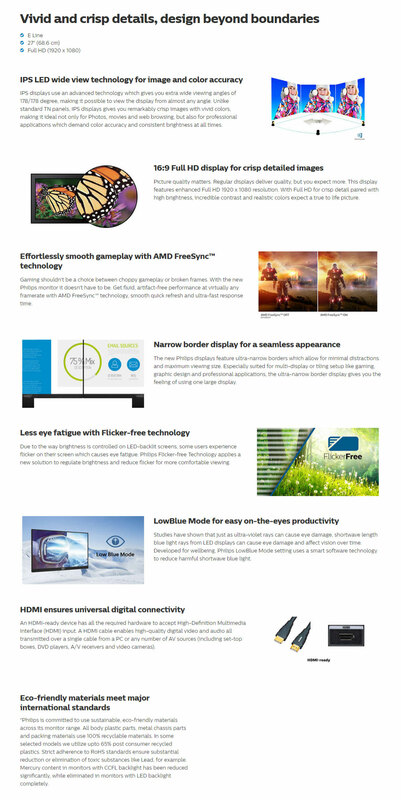 Flicker-free and LowBlue Mode promote eye well-being.